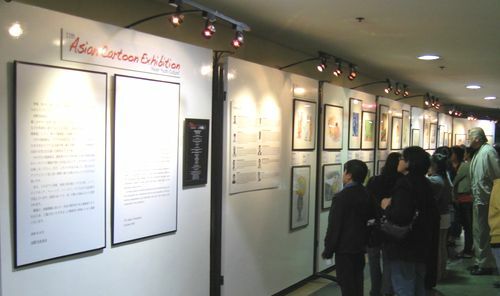 during March 2 to 8 as shown in the below. 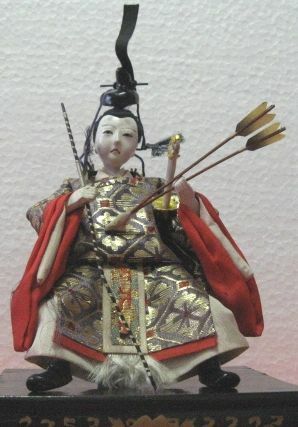 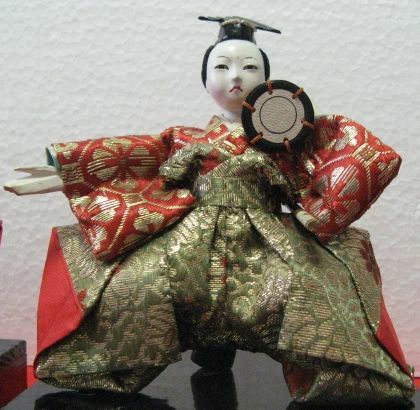 In the exhibition room, you will see very lovely Japanese dolls that are displayed at home on Japanese Girls' Day, March 3, every year in Japan. 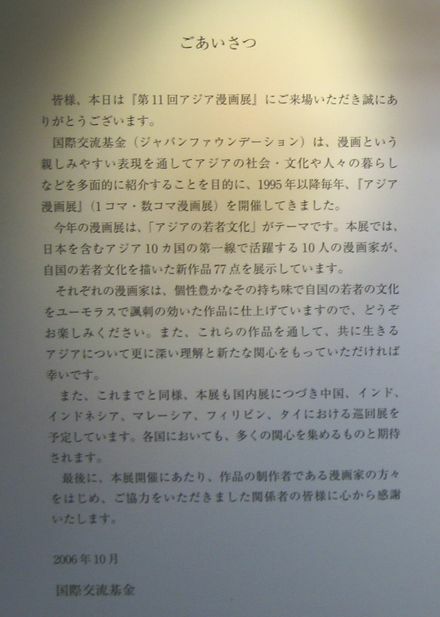 for further details, pls see this page. 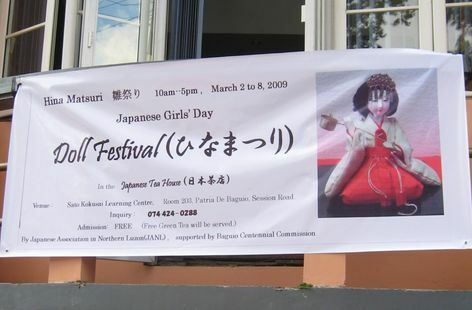 Please find the above banner with photo of the doll. 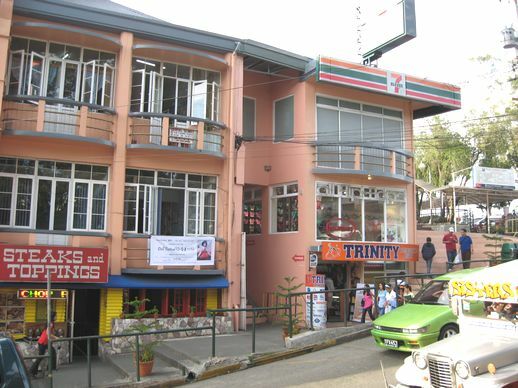 you can find it down Seven Eleven, or between Trinity and Steaks & Toppings. 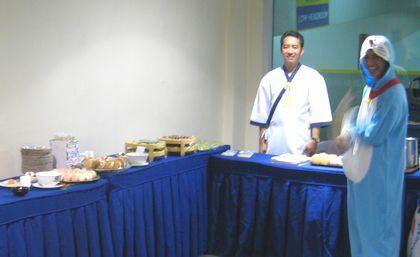 Please enter through the steps between Trinity celphone shop and Steak restaurant. 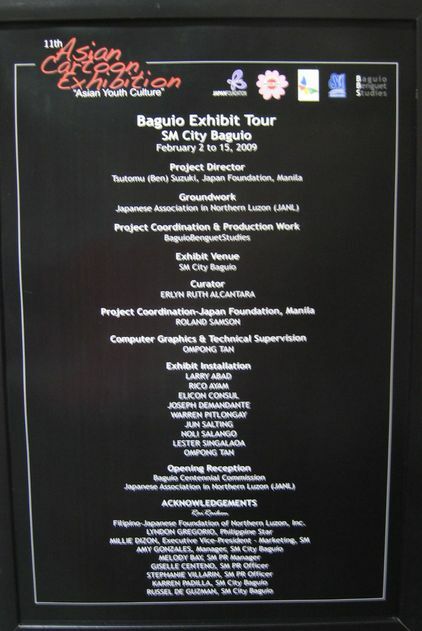 We are looking foward to seeing you there, soon. 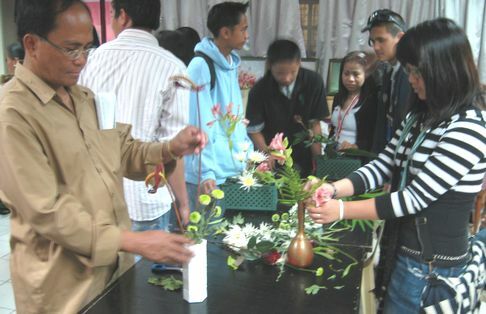 as Mayor of Baguio City. 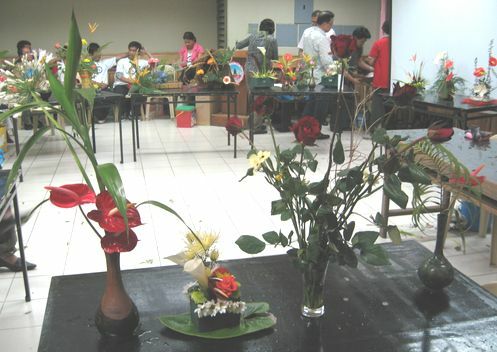 IKEBANA DEMO-WORKSHOP 2009 was held on February 20 by PHILAJAMES in cooperation with University of Baguio and Benguet State University. 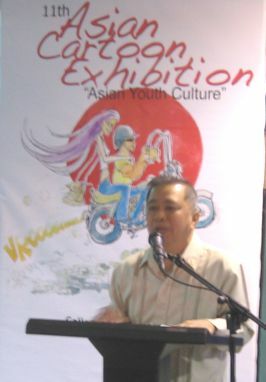 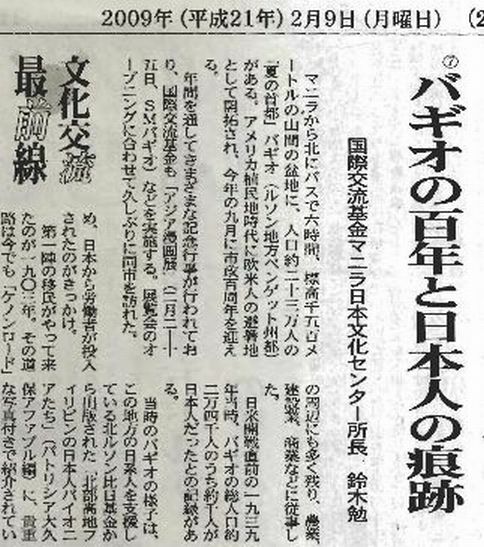 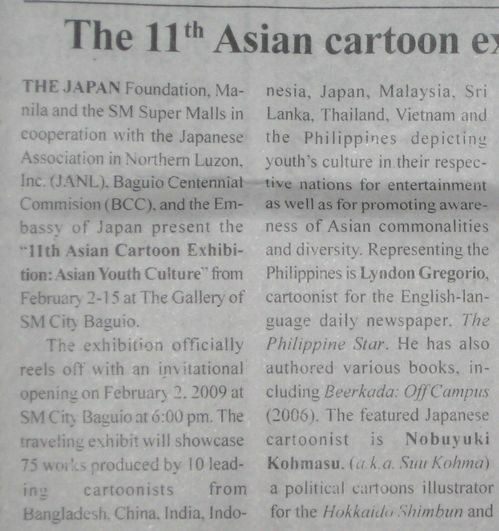 Japanese Association in Nothern Luzon(JANL) assisted the cultural event in Baguio. 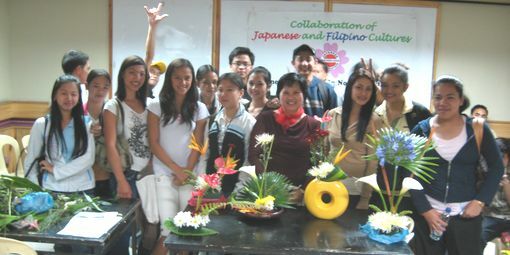 Many teachers and students from Northern Luzon got together to learn IKEBANA. 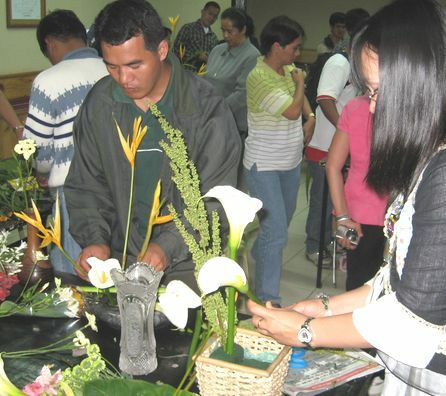 They are from UB, BSU, Mountain Province State Polytechnic College, Isabera State University, Pangasinan State University, Easter College - Special Education, and High Schools, etc. 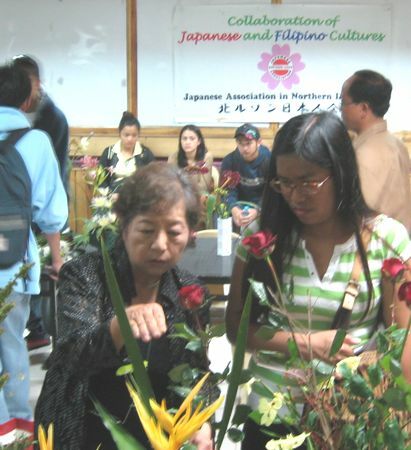 Ms. Hideko Chiba demonstrated the basics of IKEBANA. 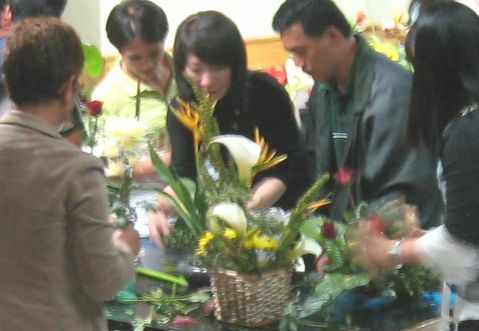 Mrs. Etsuko Yamada helped the participants at the workshop. 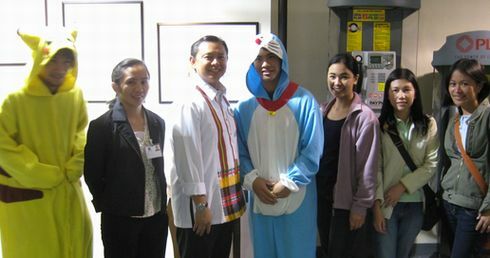 Many students from UB-HRM participated. 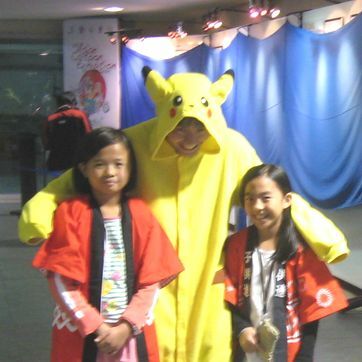 These 3 Ikebanas are the winners in the contest. 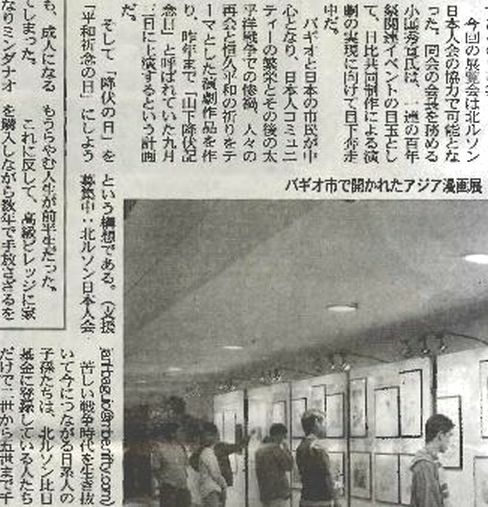 a member of Arachnological Society of Japan. 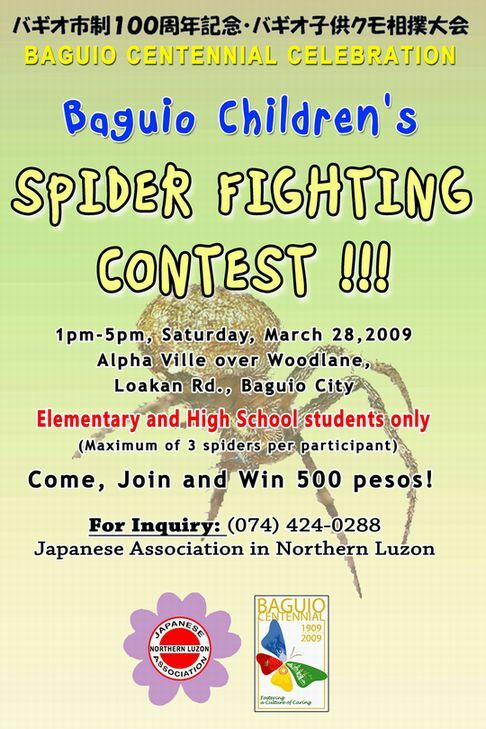 Come, Join and Win 500 pesos for the 1st prize and more !! 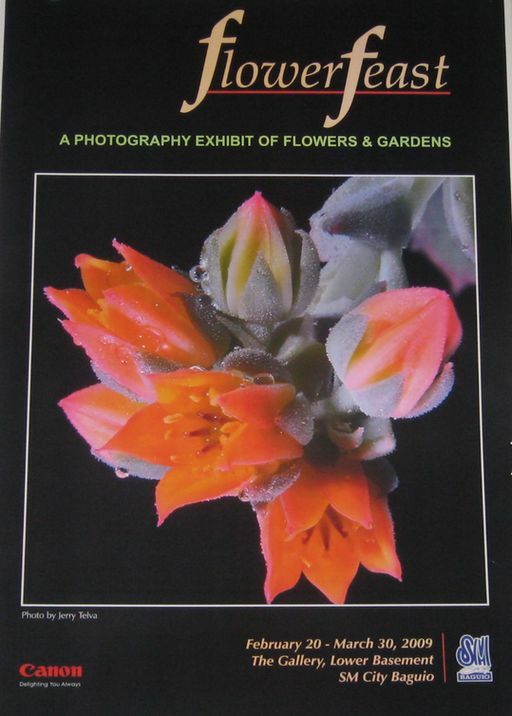 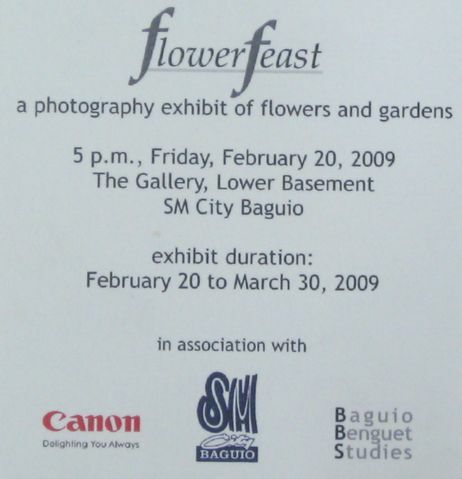 call Baguio 424-0288 for inquiry and entry by March 25, 2009. 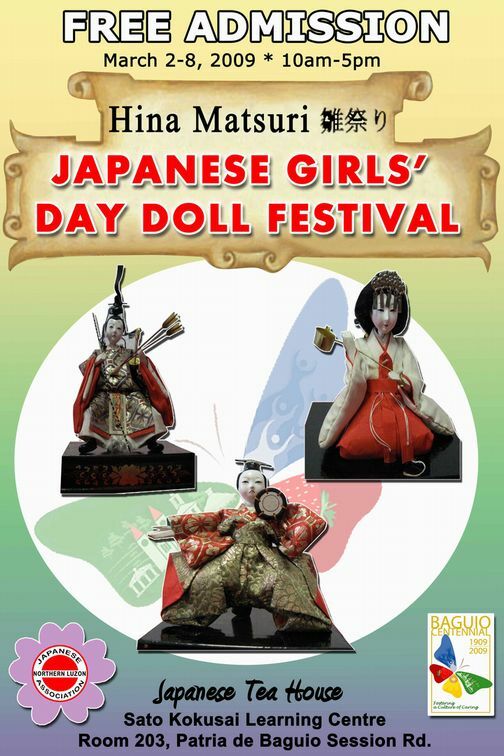 March 8, for the First Time in Baguio city to celebrate Baguio Centennial. 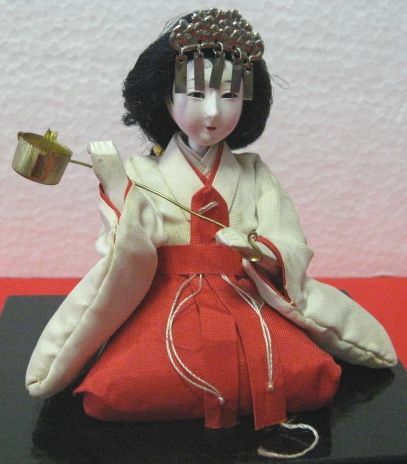 relaxing space to enjoy the Hina Matsuri with your friends. 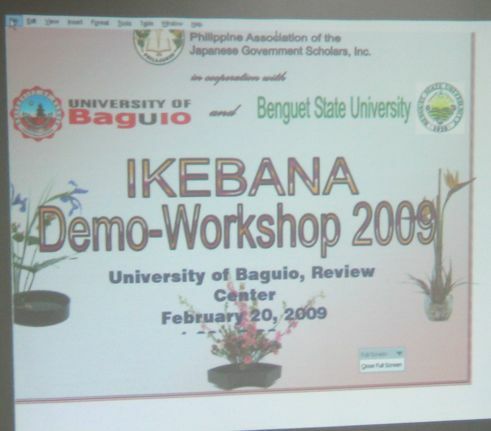 Room 203, Patria De Baguio, Session Road. 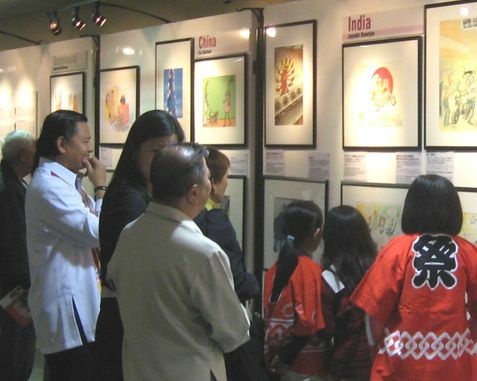 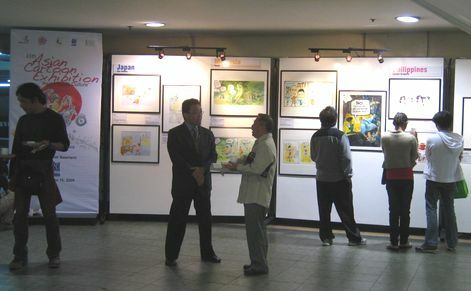 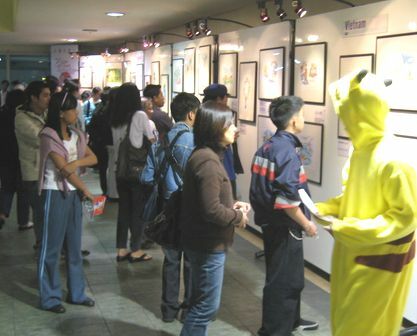 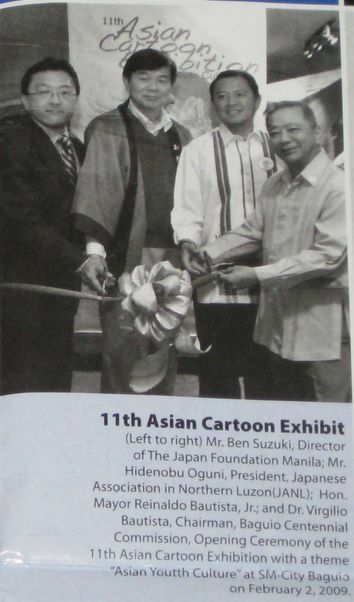 Asian Cartoon Exhibition introduced in Zig Zag Weekly newspaper. 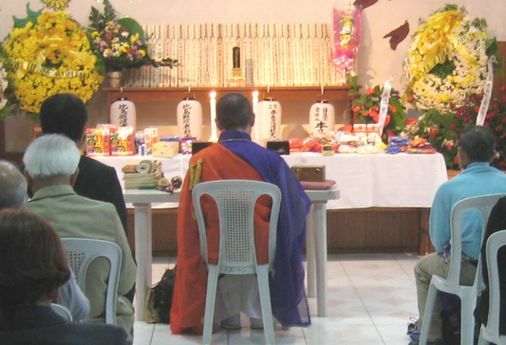 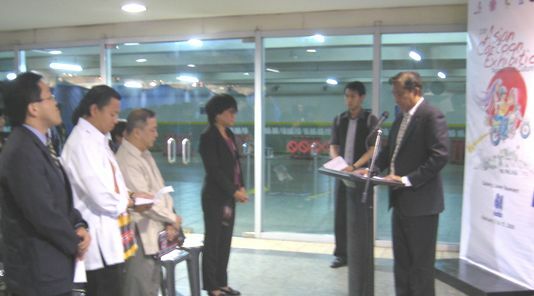 Japanese Association in Northern Luzon, Inc., etc.